When it comes to iPhone 6 Repairs, forget the cowboys, Phone Ninja is the Perth brand you can trust! Our Phone Scouts have sourced the best quality parts to take care of your iPhone 6 screen replacement meaning you won’t experience the hassles of other repairers. We can repair your device while-you-wait, so you don’t have to be without your iPhone 6! Our prices are upfront and affordable saving you money and time, and we repair a wide variety of common problems including: iPhone 6 screen repairs, battery repairs, camera replacements, and much more. With over 30,000 repairs to our name, just in Perth, the quality of all our iPhone 6 repairs is second to none as are our conveniently located stores north & south of the river meaning you won’t have to drive far to find a Phone Ninja store. We also back our work with a full 3 month parts and labour warranty saving you the hassle. Our Perth price-beat guarantee means we won’t be beaten on price, and we also stock all the parts needed to repair your iPhone 6 like new. So if for any reason you find yourself in need of a repair, you can rest assured that Phone Ninja is the name you can trust. We have the quality parts and the know-how to have your iPhone 6 back up and running in no time. So why wait? To get rid of your broken glass screen (and cutting your fingers), come down to our any of our stores or contact us today for the best service in Perth. Every year Apple reveals their new iPhone, and 2014 was no different with the release of their iPhone 6 range. 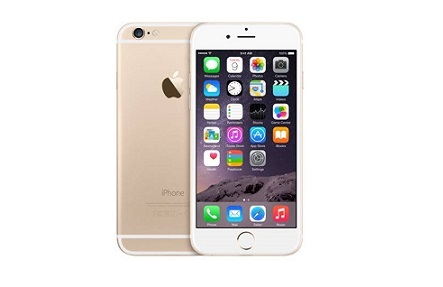 Unlike previous years, there are some major upgrades to this iPhone, most importantly it’s larger 4.7-inch screen. The new iPhone 6 has been reworked from the ground up, meaning it does not share any parts at all in common with the older iPhones.